Let’s join together and fight ALS together with the help of foundations out there that could hope for a cure in the future. My dad’s health was deteriorating for a couple years. He would complain about being extremely tired. He also complained about his knees and body always being exhausted and very sore. This didn’t deter him from working on weekends despite the fact that he was retired. He would subtly complain about not feeling good, but we attributed that to his normal attitude towards life. Him visiting a doctor never crossed his mind. This was mostly due to the fact that had grown a disdain for hospitals after experiencing a near-tragic car wreck in 1982. The car wreck had resulted in a prolonged stay the hospital since he suffered from major impact to his knee, jaw, and head. In early 2015, he started falling down here and there. We believed it was due to his weakening knees from arthritis. It wasn’t until last year that my dad started falling regularly. There was even one time I had to try and revive him to consciousness after a fall. It wasn’t the scariest experience. He was finally convinced that he needed to see a doctor. My dad was sent from hospital to hospital, yet we weren’t getting any answers to why he was experiencing these issues. Our family felt helpless! It wasn’t until he was sent to a VA hospital that we got the answers we had been looking for months. Our worlds were shattered when we learned that my dad had been showing signs of deterioration due to the complications of ALS (Amyotrophic Lateral Sclerosis). 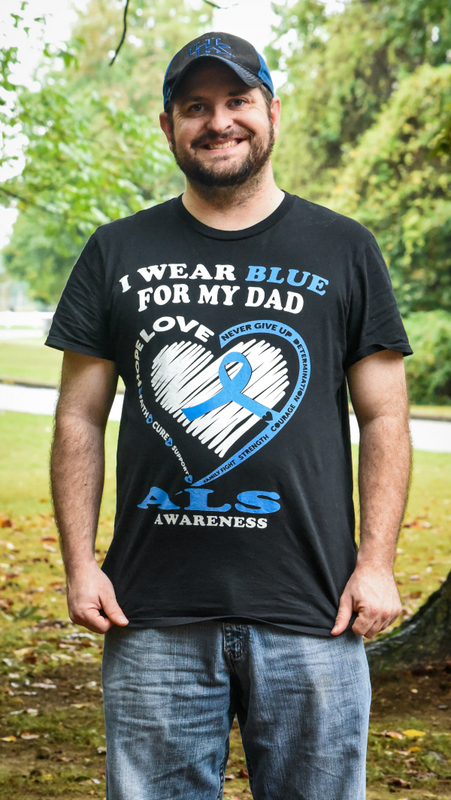 ALS is also known as Lou Gehrig’s disease, which was named after a retired New York Yankee baseball player in the 1930s, whom eventually succumbed to the debilitating disease. Over the months from February 2016 till his death on Christmas night, he had drastically gone from a strong independent man to one who could no longer walk to talk. This was a very hard emotional situation for the whole family. This disease acts rapidly and quickly takes away a person’s way of life. 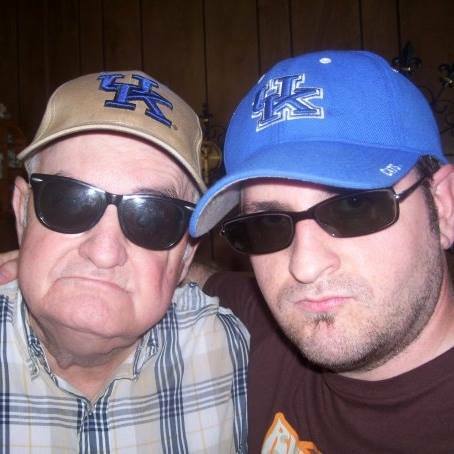 In his last days, all my dad could muster to strength to whisper was that he loved me. ALS is a motor neuron disease that causes the death of neurons which leads to muscles becoming useless. This will include all muscles inevitably. As it progresses it will become impossible to speak, eat food, and then at the end breathing. This disease affects thousands of people each year, and currently, there is no cure. When Sarah Coglianese was diagnosed with ALS, she was 33; her daughter Scarlett was just two years old. While Scarlett was learning to take her first steps, Sarah went from using a walker to eventually a wheelchair. In 2015, Sarah launched #WhatWouldYouGive, a national campaign that challenges healthy people to give up an ability (e.g. voices, arms, hands, and legs), to understand what life with ALS might be like and raise awareness and funding for ALS research. Sarah’s experience with ALS and her journey through motherhood leads her to believe that her disease will ultimately make her daughter stronger, braver, loving and empathetic—something we all hope for our children. Linqia would give anything to help end ALS. That’s why they have partnered with ALS Therapy Development Institute (ALS TDI), a non-profit biotech that is 100% focused on finding a treatment and cure. They’re also striving to build awareness of the disease and raise funds for research. Linqia believes in the research efforts of ALS TDI and specifically in AT-1501, a very promising drug that could feasibly and finally change the trajectory of this disease. AT-1501 is on its way to clinical trial, but needs every last penny to advance and fast! That is why they have teamed up with ALS TDI through #WhatWouldYouGive, a national awareness and fundraising campaign that challenges healthy people to give up an ability to understand what life with ALS might be like. Last year alone, their company raised $15,000 through this campaign, 87% of which went immediately into the lab at ALS TDI. The goal this year is to raise $50,000 through their collective efforts. Up to $25,000 will be matched dollar for dollar by an anonymous and very generous donor! Together, we can raise funds to help make ALS a thing of the past! It takes a village to get it done and we want you in our village! Let’s join together and fight ALS together with the help of foundations out there that could hope for a cure in the future.